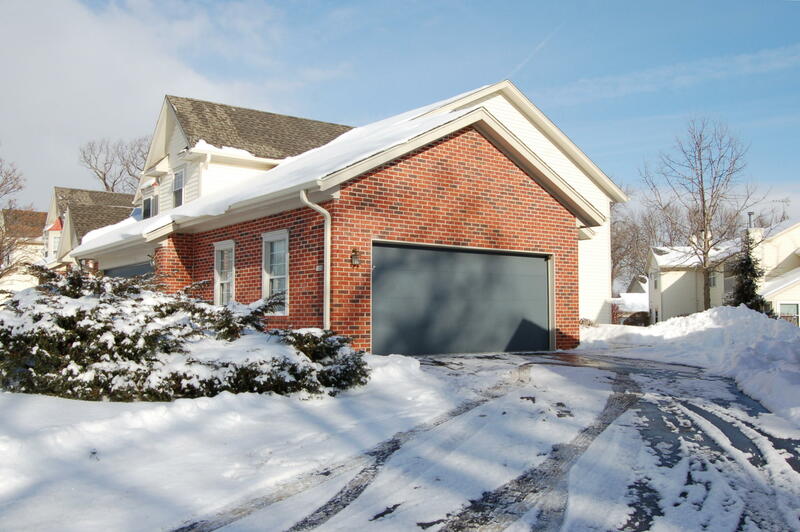 Prime location for this 1st floor, end unit ranch condo with no steps in the Oaks of Greenfield. LIght filled rooms, cozy gas fireplace in the living area, three patio doors, great floor plan. Eat-in kitchen offers oak cabinets, neutral floor & countertops, pantry closet. Master suite with walk-in closet, patio door & private bath w/shower stall. Large second bedroom w/charming bay window. Laundry closet in hallway between bedrooms. Newer windows. Private entrance with unit overlooking pretty greenspace. Big two car garage with abundance of storage. Excellent placement in complex across from pond & nature preserve. Clean, nice unit! Refrigerator not included.